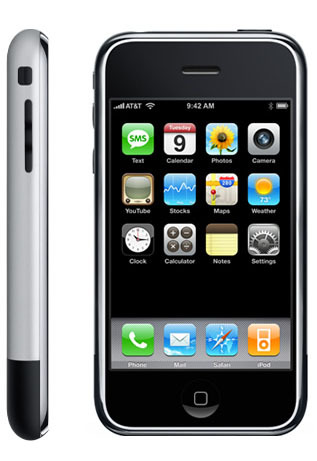 2007 – Apple stores open for the hundreds of people standing in line to get the 1st generation iPhone (aka iPhone EDGE). It was the first Smartphone with a multi-touch interface. 4 GB and 8 GB models on AT&T’s network running EDGE. Jobs later stated he didn’t put 3G into the phone because it took way too much battery life to run. The phone had an ARM1176JZF at 620 MHz and 128 MB of RAM.